UMB is ready to commence serial production of the vehicle in Romania. Credit: General Dynamics European Land Systems. General Dynamics European Land Systems (GDELS) has completed a live firing test of the PIRANHA 5 8×8 wheeled armoured vehicle for the Romanian Army. The test was performed at a firing range in Camp Rena, Norway, in the presence of the Romanian procurement authority. 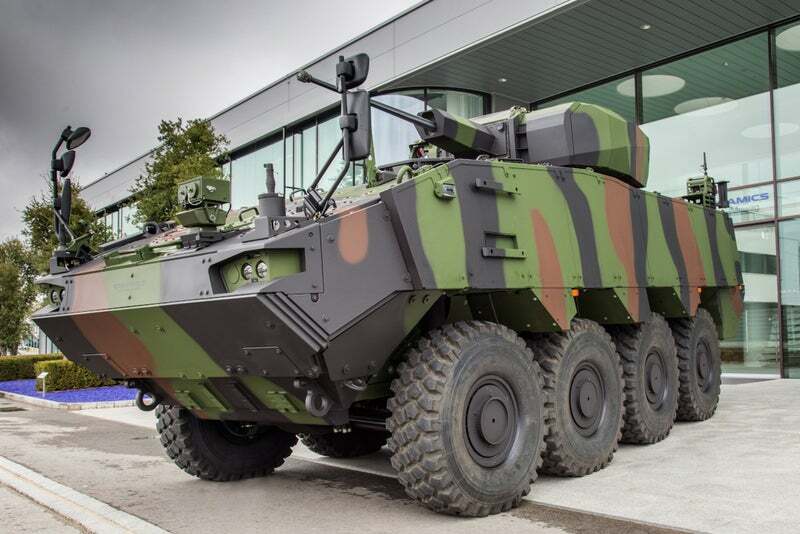 It represents a key milestone in the Romanian Army’s PIRANHA 5 programme and qualifies the Elbit UT30MK2 system for the vehicle. As part of the demonstration, PIRANHA 5 performed a series of static and dynamic shooting tests with a 30mm system. GDELS noted that the tests exceeded the customer’s requirements. The Romanian Army intends to modernise its legacy wheeled armoured vehicle fleet. In this regard, a contract was awarded in January last year to deliver up to 227 PIRANHA 5 wheeled armoured vehicles in six different configurations. GDELS will work in partnership with Romanian company Uzina Mecanică București (UMB) to produce the PIRANHA 5 vehicles in Romania. The partnership involves strategic cooperation and transfer of technology. Over the last year, GDELS and UMB have completed the first construction phase of the renovation of the UMB facilities in the country. Under the collaboration, UMB personnel underwent training in Switzerland and have been qualified to undertake series production of PIRANHA 5. Furthermore, GDELS confirmed the readiness of the UMB facility to commence serial production. General Dynamics European Land Systems-Mowag managing director and wheeled vehicles vice-president Oliver Dürr said: “Our collaboration with UMB will create a sustainable benefit to the Romanian economy and we are proud to support UMB in production and in proving our efficiency and reliability to Romanian Army.